Now you can go where you want, when you want, 24/7. 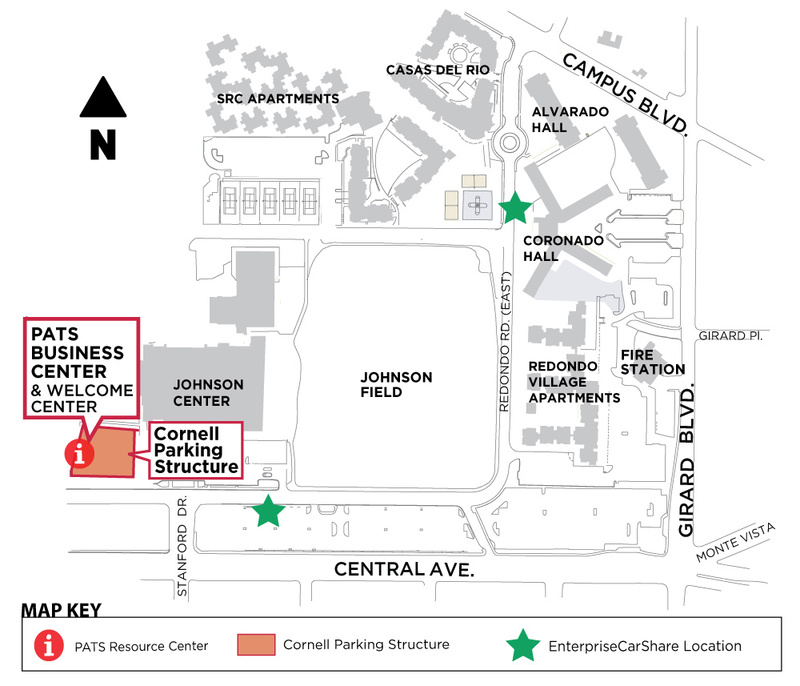 Enterprise CarShare is a car sharing program at UNM that allows you to reserve a car by the hour for one, all-inclusive price. Sign up here! Access to CarShare cars 24/7. Fuel, protection, and 24/7 member service. This program is ideal for students living on campus and for UNM departments who need a vehicle for University business. You must be 18+ and have a valid driver's license. For more information, click here. First 200 miles per rental are free; additional miles at $0.35/mile. Fuel is included. Log in with your Member ID on your phone, tablet, or desktop computer. Once logged in, there will be a reservation page with available hours and locations. Select the car you want and how many hours you need it. We also have daily and overnight specials. If you need the car any longer, you can extend the reservation if the car is available with a simple phone call. Arrive at your car and hold your membership card or fob over the windshield sensor. The system will recognize you and the car will unlock. The keys will be in the car. If you need fuel while you're out, there's a pre-paid fuel card in the car. Should you need any assistance, you can call the CarShare 24/7 Roadside Assistance and Member Service. Simply return the car at the dedicated spot where you found it, so the next person can use it. Our cars are well maintained and frequently cleaned so you can enjoy the ride.